Today was a beautiful spring day in California. The temperatures were warm and the sky was clear. There are some baby chickens at the orchard. One of the free-range chickens had been hiding a nest of eggs and they just recently hatched. I tried to get close to get a picture, but this was the best I could do. 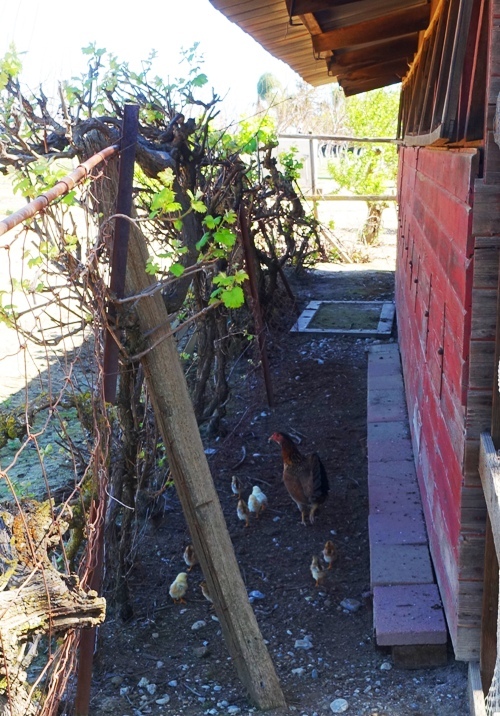 Baby chickens are definitely a nice sign of spring and renewal. 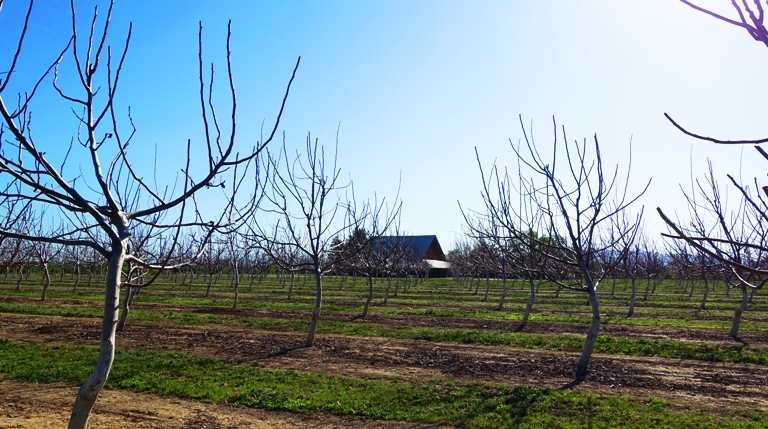 The walnut trees are still pretty bare, but they are some of the last trees to green up. 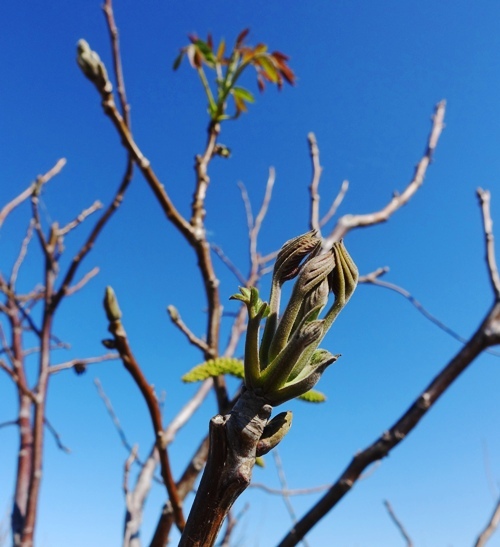 The walnut trees will soon be full of leaves though as it is now April and some of the trees are starting to green up. The apple trees still have a few blossoms on them, but soon most of the fruit trees will be full of fruit. Even the evergreen trees are starting to have new growth. 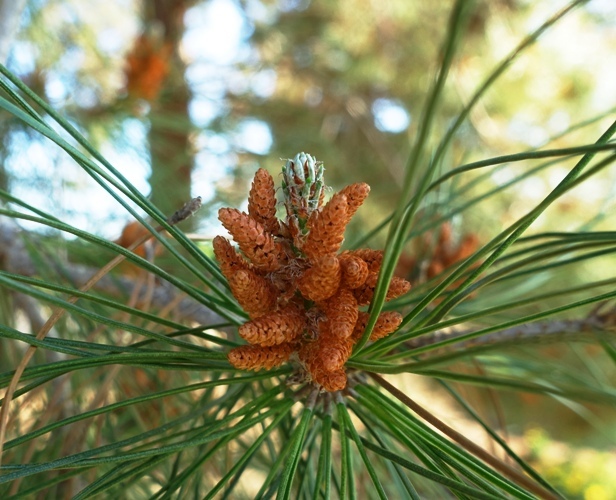 I really like this little cluster of small pine cones. What a beautiful day to enjoy the wonders of creation. 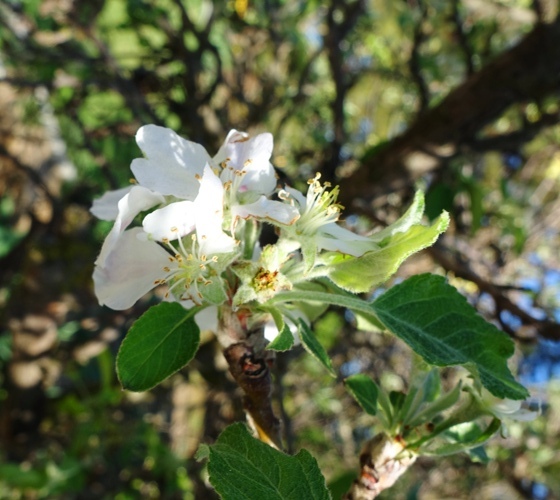 This entry was posted in Animals, California, Flowers, Nature, Seasons and tagged apple blossoms, Blossoms, chickens, pine cones, Spring, Trees, walnut trees. Bookmark the permalink.